There are a variety of choices for homes for sale at Fishhhawk Lake that are under $200,000. Some are on the water, some have views of the water, and others are tucked into forestland for privacy, but still include all of the amenities that each of our Fishhawk Lake Reserve and Community members enjoy at our private lake community. 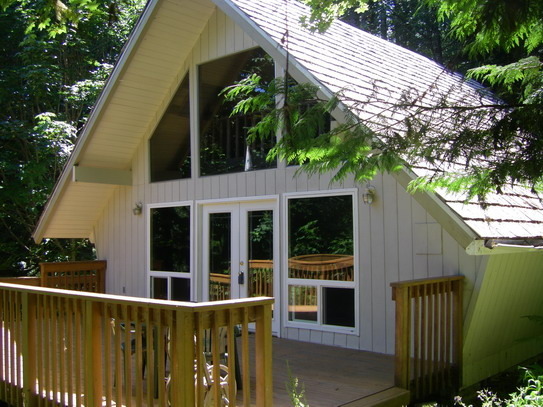 The trend lately at Fishhawk Lake is to be interested in a small or less expensive lake cabin for under $200,000. With a purchase you still have all of the Fishhawk Lake Reserve and Community amenities that lakefront homeowners enjoy which include: fishing, boating, swimming, social events, tennis, water and sewer included in the Homeowner’s fees of $1700.00 per year as well as occasional use of the clubhouse and more. THESE ARE JUST A FEW OF THE FEATURED HOMES, THERE ARE MANY MORE! 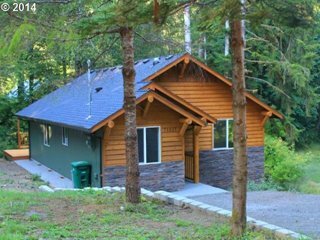 The cabin below is newly built and has received lots of interest lately, because there are no new cabins here for this great price of $169,000. 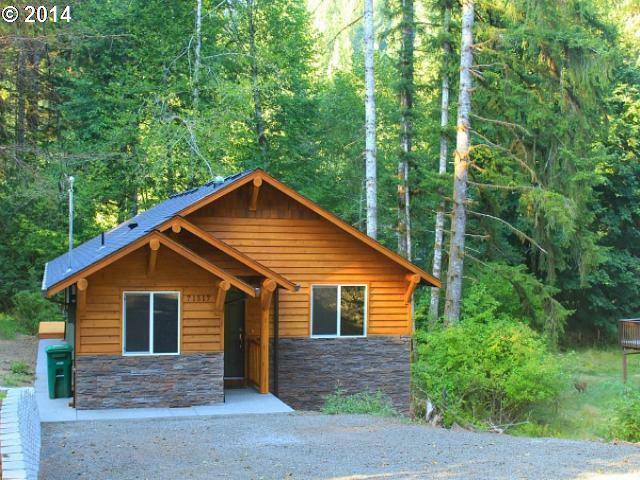 A small jaunt from lake access, it’s a great starter home, or weekend getaway. Many of these have views or are close to Fishhawk Lake. Some are located on Fishhawk Creek. All properties have access to the lake and all of its amenities. This remodeled charmer also has yearlong views of Fishhawk Lake and 45′ of creek frontage. Bright and cozy, wood interiors fun for a family or just you! MLS#14243229 2BR 1BA $140,000–a deal! 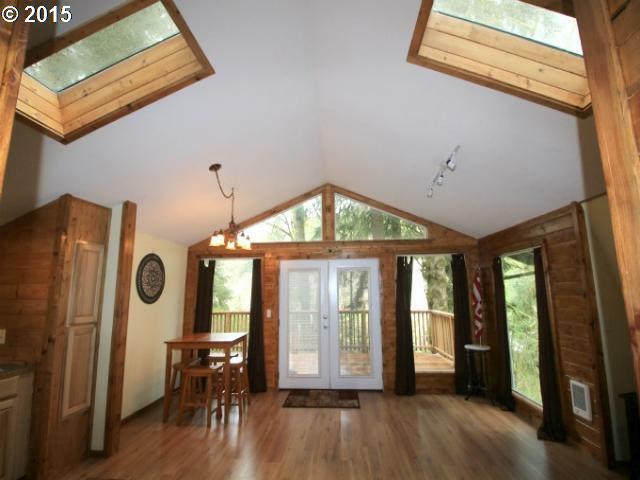 Large deck with great open views of Fishhawk Lake, french doors, good sized loft….great price! Lake views and just a few steps from the lake! Two have sold recently for full price, and inventory is getting smaller, so get your financial ducks in a row, and give me a call for your own private tour from the local expert, Gayle Rich-Boxman! 503-755-2905. 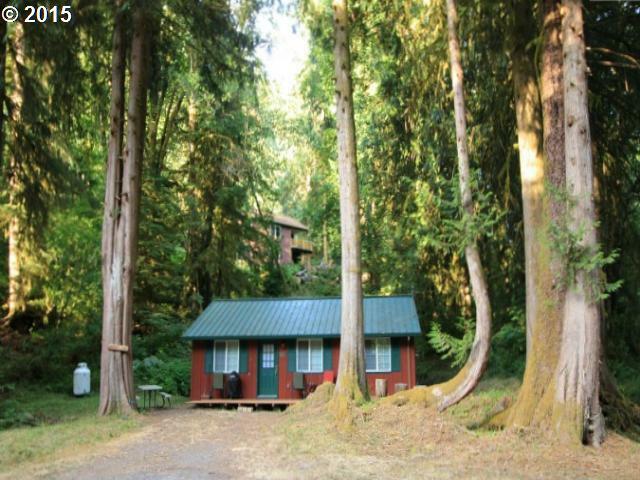 Cozy cabin, sleeps up to 10 w/extra “sleeping room”, is about a block away from the lake, beach, community lodge, tennis.Perfect for family getaways just 90 mins from Portland! Comes furnished and is ready for you to enjoy. Well maintained, easy to keep clean, newer deck, could add a garage on your private driveway. 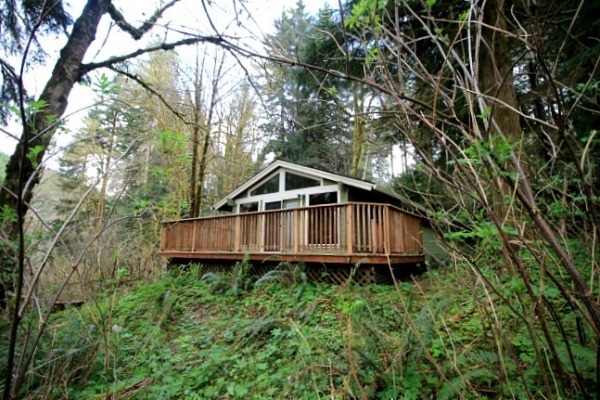 Tucked into woods, see nature at your doorstep! Ya gotta get your plans together SOONER and call me for a private tour of Fishhawk Lake, if you want a deal. 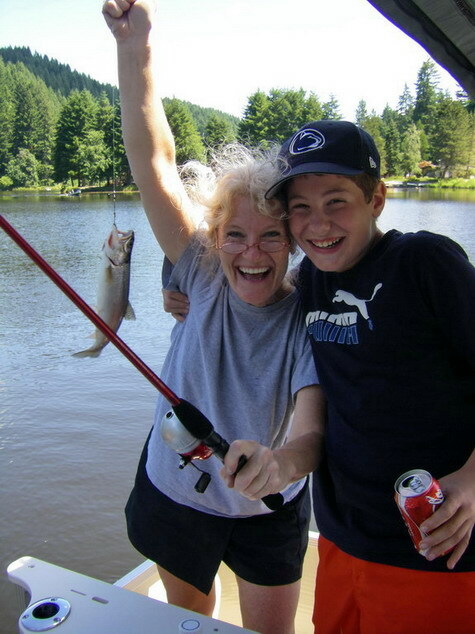 Gayle Rich-Boxman, REALTOR® Vernonia Realty Direct: (503)755-2905 You will get all of the same lake amenities that folks on the lake get. Give me a call for a private tour! These are just a few of the choices for cabins and homes at Fishhawk Lake under $200,000. There are many more available with lots of variety. As the full-time realtor on Fishhawk Lake, I also list luxury properties and vacant lots, in all different sizes and price ranges. Call me today for your private tour of Fishhawk Lake!